← Planet Earth is a ship and we all share the helm. Although google.ca didn’t appear to support the blackout, much of the internet (which I frequent) did. The apparent lack of content to lull me along my shift at work is likely what made me feel sick this morning. On my way in, I picked up some fancy-pants soup for those who slide their fancy-pants on, one gold-leaf’d sock at a time. 2. I couldn’t upload it to the Internets (this is what passes for a serious existential crisis these days). Oh wait. Shutup. I think the internet is back up. 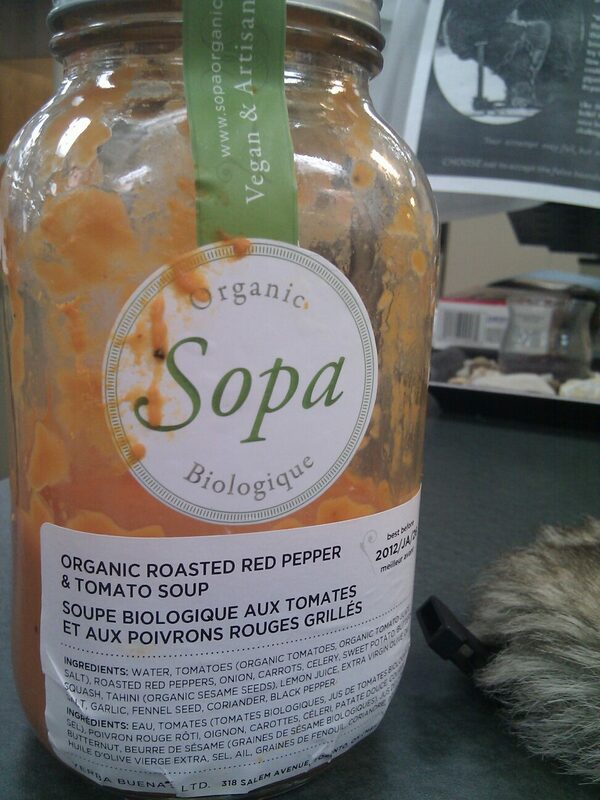 edit: I really ought to include some short thoughts on SOPA PIPA. Simply put, the only thing which is stopping the whole of the world from falling into a state of global despotism is the openness of the internet. Full stop. One day soon, so as long as we can avoid a massive war that would help people to rationalize shutting down the internet, we will have a single internet which translates into all languages. When that day comes, it will be impossible for people to take up arms and to slaughter one another. The sooner we see that we are no different from ANYONE on this planet, and that we all share similar needs as humans, the sooner we can enjoy peace, true prosperity, and real piece of mind. If we allow the dollars of the aging system to force the internet into a television-like apparatus, and to silence dissenting voices, then all will be lost. And what it will cost to retake the world will be too high for each of us, and everyone, and really, the planet itself. OPEN THE INTERNET until those who want to take, and kill, and pacify are so exposed by the light that they dry up and blow away. This entry was posted in America, conjecture, freedom, future, globalism, Humanity, internet, Love, Nuclear Weapons, Peace, PIPA, Politics, SOPA, SOUP, thoughts, Uncategorized, United States of America, USA, War, world and tagged America, Earth, FREEDOM, future, GLOBALISM, humanity, INTERNET, PIPA, SOPA, war. Bookmark the permalink.